Printed in Reef-safe PETG plastic. This easy to install 16mm Slip-Fit Adapter allows you to quickly add a 1/2in Loc-Line connector to your standard flow pump nozzles along the back wall of your Red Sea Max Aquarium. The Adapter securely slides on to the end of the nozzle. No Tape, no glue, no tools. 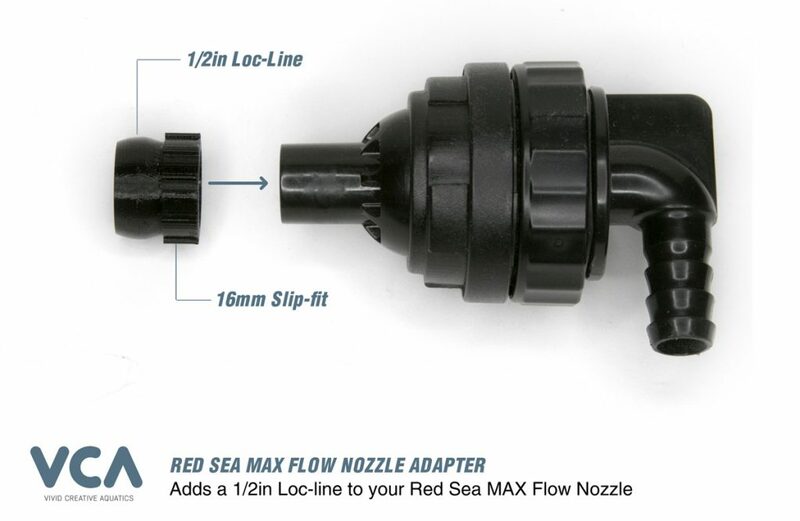 With the Red Sea MAX Flow Nozzle to Loc-Line Adapter, you can attach any genuine 1/2in Loc-Line connector, adapter or Y-fitting to the end of the nozzle. Simply remove the nozzle extension from the main return tube. Slip the 25mm Slip-fit Adapter over the end of the return tube. That’s it!